While fleeing the greedy clutches of her vile cousin, Lady Tess Mandeville is robbed and left for dead in the woods. She awakes with no memory of who or where she is. But fate intervenes when she wanders into a tavern and is mistaken for a barmaid. Her accidental profession leads her into the arms of Nicholas Talmage, the darkly handsome Earl of Shelbourne, and the two share a night of unrivaled passion. But as Tess's true identity comes to light, they realize their families are locked in a mysterious, decades-old feud that could put an end to their fledgling but fiery romance. As the star-crossed pair search for answers to the secrets of their past, they'll strive to defend an unremitting love that shatters the bounds of time . 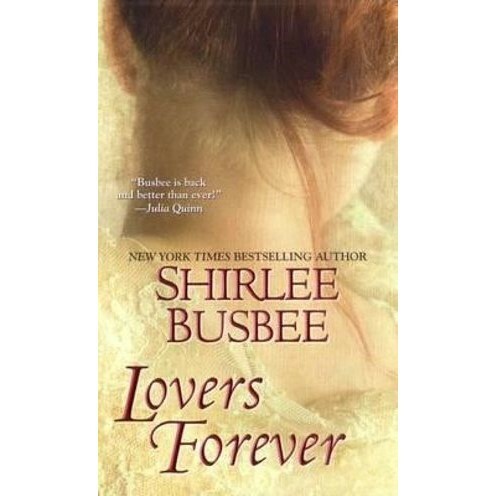 . .
Shirlee Busbee is the proud author of 11 novels, including seven New York Times bestsellers. Published since 1977 and with over nine million copies of her books in print, she is the recipient of numerous awards for excellence in writing, including the Romantic Times Reviewers' Choice Award and Affaire de Coeur's Silver and Bronze Pen Awards. Shirlee lives in California with Howard, her husband of 34 years, two standard schnauzers, and the Standardbred horses the couple raise for pleasure.